Can You Brave One Of The Top Haunts In The Nation? One of Atlanta’s best + most terrifying traditions, NETHERWORLD Haunted House, is making headlines for their not-to-be-missed monstrosity-filled haunts and Hollywood-style sets. Once again, they’ve landed on top haunt lists from across America, including those by The Atlanta Journal-Constitution, Buzzfeed, Business Insider, CNN, Thrillist, Travel + Leisure and USA Today’s 10BEST… just to name a few! Come and experience first-hand NETHERWORLD’S two new bone-chilling haunts. Explore through the cursed town of Whyshburg in The Awakened as you discover what lurks below. Delve deeper into a fear you’ve never known while fighting off mutant creatures in Subject: UNKNOWN. 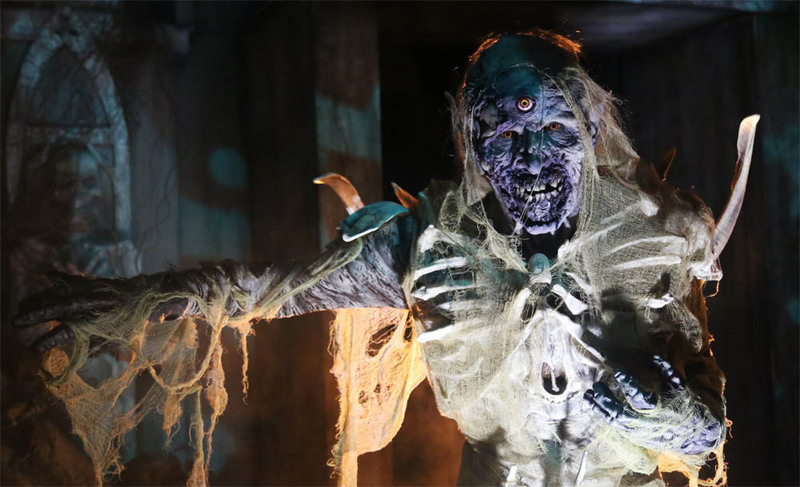 Your biggest terrors await you nightly through November 4 at NETHERWORLD’s new home in Stone Mountain. Grab your tickets + enter one of America’s most famous haunts only if you dare.